Vaughan Public Libraries Teen Vortex » Say yes to this! 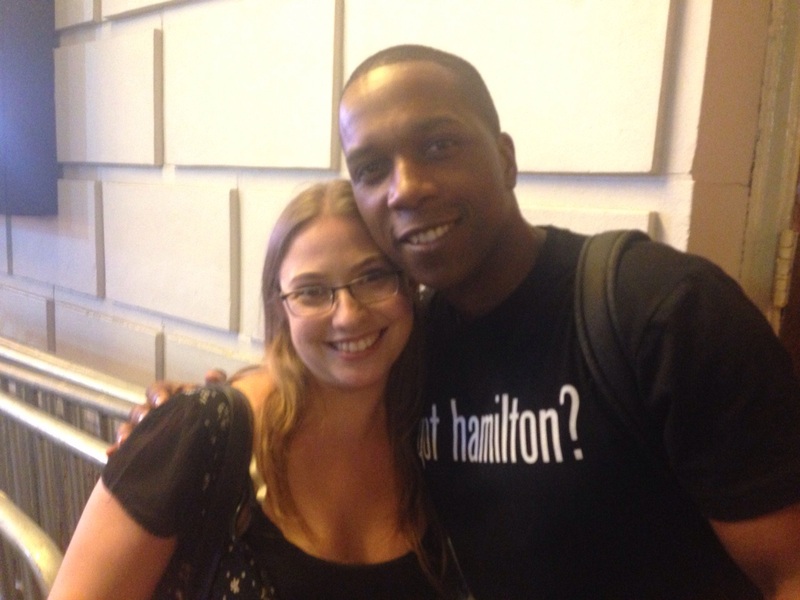 I don’t think I’ve written about this on this blog before, but I am a HUGE Hamilton: An American Musical fan. This is not hyperbole. I am addicted. I have proof too. I own the biography (and a book about that time when Hamilton and Burr joined forces on the first murder trial in American history), I own The Hamiltome (or by its other title Hamilton: A Revolution), I watched the documentary on PBS, I’ve seen every #Ham4Ham (one of them live. You can’t see me.. I’m standing next to the person who filmed this but you can hear me screaming. ), I own the cast album and know every single lyric (I’m even featured on the Genius page). And then there’s also the fact that I’ve seen the show…with the original cast…twice. The second time was last February, I stood in the freezing cold with a friend for 7.5 hours for a chance to get standing room or canceled tickets. 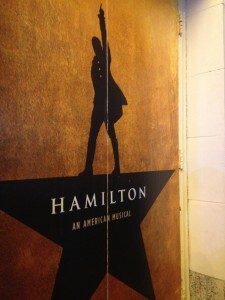 At one point Lin-Manuel Miranda came out of the theater, looked at us like we were insane (which we were) and wished us luck. But while my experiences seeing the show were magical and I could go on and on about the whole thing, this is not actually the reason I am writing. What I really want to know is…HAVE YOU LISTENED TO THE MIXTAPE YET? If you have no idea what I’m talking about, let me explain. 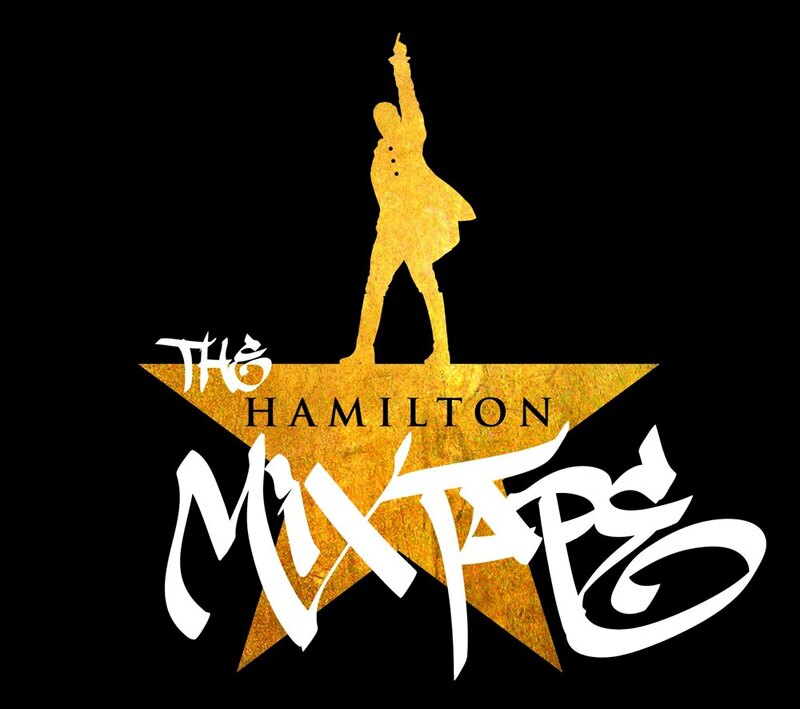 The Hamilton Mixtape is a companion piece to the show and cast album. It features covers of tracks from the cast album, like Regina Spektor and Ben Folds singing “Dear Theodosia,” Usher singing “Wait For It,” Ja Rule and Ashanti singing “Helpless” and Sia and Queen Latifa singing “Satisfied” (if you have to listen to one song for the rest of your life let it be this one…and also watch Jonathan Groff’s reaction to it). 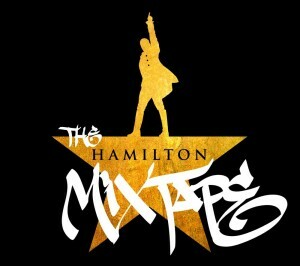 The mixtape also includes cut songs from the show, either sung by Lin-Manuel Miranda (“Cabinet Battle #3”!!) or covers (Dessa’s “Congratulations” is amazing). But perhaps the best thing about The Hamilton Mixtape (which is a difficult statement to make because the whole thing is amazing) is the original tracks. You guys, these tracks are OUTSTANDING! They are poignant and topical and personal… and I’ll stop here, but let it be known that I could go on. My personal favorites are “Immigrants (We Get the Job Done)” featuring K’naan, Snow The Product, Riz MC and Residente, and “Wrote My Way Out” featuring Nas, Dave East, Lin-Manuel Miranda and Aloe Blacc.